Royal Signals are responsible for installing, operating, maintaining and running telecommunications equipment and information systems. A Royal Warrant was signed by the Secretary of State for War, the Right Honourable Winston S Churchill, giving the sovereign’s approval for the formation of a ‘Corps of Signals’. Six weeks later, on the 5th August 1920 His Majesty the King conferred the title ‘Royal Corps of Signals’. Formed in 1920 the Royal Corps of Signals is frequently among the first in to conflict the modern signaller is an intelligent soldier with the technical and tactical skills to provide and operate Field Headquarters, and to ensure commanders have battle-winning information. They are also among the first to support humanitarian missions – restoring and maintaining lines of communication and setting-up essential, secure Headquarters – to ensure help and support is efficiently dispatched to where it is most needed. The Corps’ professionally trained specialist soldiers, from the most junior signallers (‘Siggies’) to the most senior officers, are responsible for installing, operating, maintaining and running telecommunications equipment and information systems as well as support that is essential to all military operations – on and off the battlefield. 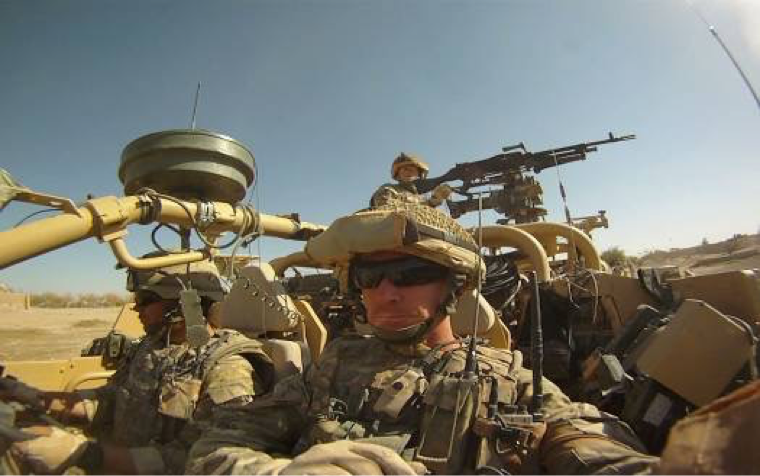 As a combat support arm The Royal Corps of Signals largely controls the means by which intelligence is passed to the decision makers and the mechanisms by which decisions and orders are communicated. They fight alongside front line troops, control and resource operations and understand, assimilate and respond to the pressures and urgent needs of commanders and staff. Within the modern-day electronic battlefield, with its increasingly complex, sophisticated and often hidden enemy, Royal Signals soldiers and officers are responsible for ensuring the British Army’s sophisticated weaponry and command and control systems are protected from cyber, nuclear/ non-nuclear electromagnetic pulse (EMP) and other attacks. When required Signals’ specialists will conduct electronic warfare – intercepting and jamming enemy communications. From the beginnings of human conflict, communication between and within fighting forces has been paramount. Signalling – smoke, mirrors drumbeats and the like has been around for centuries. Signallers didn’t officially make an appearance until the 1700s but Primitive tribes could communicate over hundreds of miles via secret codes and sophisticated strategies. In 1908 the Royal Engineer Signal Service was formed and provided communications during World War 1. At this time the Dispatch Rider (DR) came into prominence and wireless ‘sets’ were introduced into service. Wireless communications were provided in France and Flanders and also in the campaigns in Salonika, Palestine and Mesopotamia. In 1910 a signal service was established in India from Bengal Sappers and Miners; this was followed a year later with the founding of C Telegraph Troop, Royal Engineers commanded by Captain Montague Lambert RE. In 1912 the Royal Engineer Signal Service was formed and made responsible for all forms of signalling; visual, telegraph, telephone, signal despatch and later wireless communications from HQ down to Brigades, and for artillery communications down to Batteries. Throughout most of The Great War the primary means of communications were visual, telegraph and despatch – with most despatch was either by runner, horseback or motorcycle. Despite the growth in size and importance of the signal units, in the field they remained subordinate to Royal Engineer commanders who had more responsibilities. 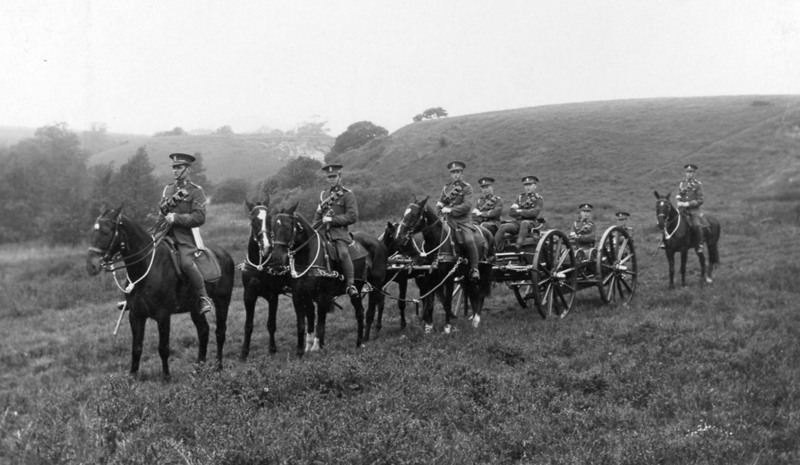 At the outbreak of WW1 (1914)there were fewer than 6,000 in the Royal Engineer Signals Service. The Royal Engineers Signal Service comprised 12 companies, with the regular Signal Companies supported by a single motorcyclist section of the Special Reserve and by 29 signal companies of the Territorial Force. By 1918 (the end of WW1) the service was made up of 589 companies the majority of which were with the BEF in France and Flanders, Some 65 units were based in Palestine and Egypt with 42 in Macedonia and Greece, 17 in Italy and 24 in Mesopotamia. By the end of WW1 there were some 70,000 signallers. In 1918, at the Battle of Amiens, trench warfare was largely replaced by the birth of modern warfare. The extensive use of artillery produced a further demand for dedicated signal sections, including liaison with spotter aircraft, while extensive line of communication required numerous units to facilitate the movement of men and supplies to the Western Front. Concurrent with this expansion was the introduction and success of electronic warfare thanks to the work of Signals Intelligence and the Wireless Observation Groups. Towards the end of WW1 the face of warfare evolved from trench warfare to a new warfare, a carefully coordinated attack – involving infantry, armour, cavalry, artillery and aircraft – resulting in the Germans’ most significant defeat since the outbreak of the war. This new warfare required increasingly sophisticated communications from ever more technically astute, competent and specialist soldiers and so the decision to form the Corps of Signals was taken. 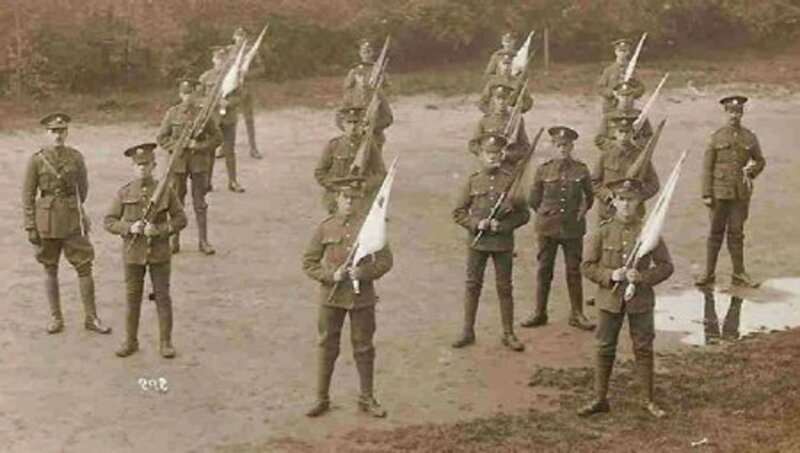 Due to various policy delays the formation of the ‘Corps’ was delayed until 1920. The Corps of Signals was formed on the 28th June 1920 when a Royal Warrant was signed by the Secretary of State for War, the Right Honourable Winston S Churchill, who gave the sovereign’s approval for the formation of a ‘Corps of Signals’. Six weeks later, on the 5th August 1920 His Majesty the King conferred the title ‘Royal Corps of Signals’. The Indian Signal Corps was also set up in 1920 with British officers and ranks from the Royal Corps of Signals working alongside Indian Signallers; between 1920 and 1940 one third of Royal Signals personnel were serving in India. Museum exhibits include a 10 inch Heliograph which is the largest used by the British Army and was only used in India. When the Territorial Army was formed on 1st October 1920 its territorial signal units became part of The Royal Corps of Signals.This new warfare required increasingly sophisticated communications and ever increasing numbers of soldiers specially trained in communications – thus, in 1920, the Royal Corps of Signals was formed. During the years between the two World Wars the Corps grew in strength and had personnel serving in various overseas stations – Shanghai, Hong Kong, Singapore, Ceylon, Egypt, Jamaica plus many other ‘out – posts of the Empire’. The largest portion of the Corps was based overseas with one third concentrated in India. 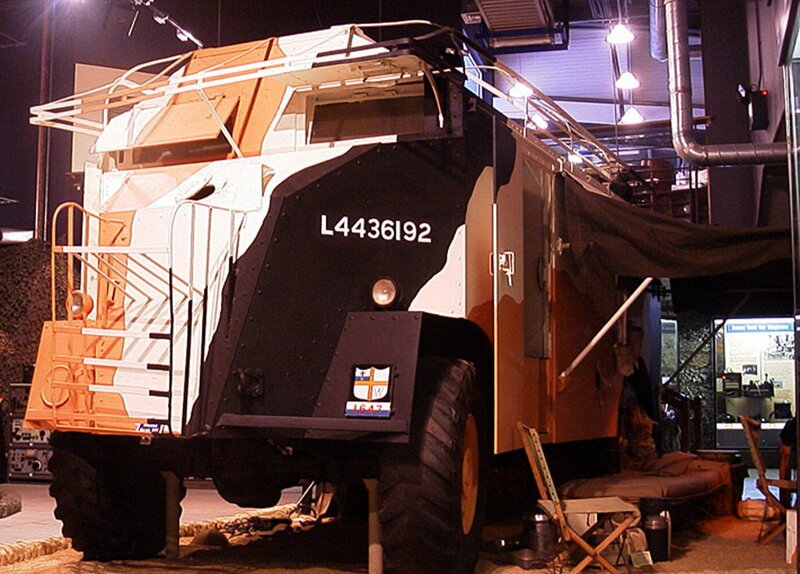 In Britain the most innovative area for regular signals units related to the establishment of armoured forces. The provision of more specialised signals units remained the province of the Supplementary Reserve and the Territorial Army, which formed and supported units for GHQ troops, lines of communication for air force liaison and anti-aircraft units. A key weakness of the British Army Order of Battle remained the lack of Signals units at corps level, this changed during WW2. Throughout World War Two (WW2) members of the Corps served in every theatre of war. By 1945 The Corps had expanded to a serving strength of 8,518 officers and 142,472 soldiers; more than today’s entire British Army. On 1st September 1939 Hitler launched a ferocious, unannounced attack on Poland. He destroyed the Polish Airforce in two days and enveloped and destroyed the Polish Forces in just 18 days. Days earlier the Anglo-Polish Treaty of mutual assistance had been signed and so on 3rd September 1939 Britain declared war on Germany. At this point, It seemed, despite earlier assurances, no-one was coming to Poland’s aid. In fact a party of 12 Royal Signals had been despatched to Poland prior to the outbreak of WW2 to see what could be done in the event of an attack. The Royal Signals’ soldiers arrived in Poland on the day war broke out and so became the first British unit to see action in the Second World War. They had been given false passports and improbable occupations – including a Captain described as a ‘musician’ who could not play a note! With Poland divided the German-Soviet Pact of August 1939 stated Poland was to be partitioned between the two powers thus enabling Germany to attack Poland without the fear of Soviet intervention. The Signallers – caught-up in this – destroyed their equipment, split into groups of two and three soldiers and escaped travelling through Europe and Africa in a bid to return home. In Romania one hotel they stayed in was being used as a Gestapo HQ. Rather than stay to uncover German plans they fled to Egypt. Throughout the process the Signallers learned much about the patterns of modern war – pinpointing that mobility was crucial to success. 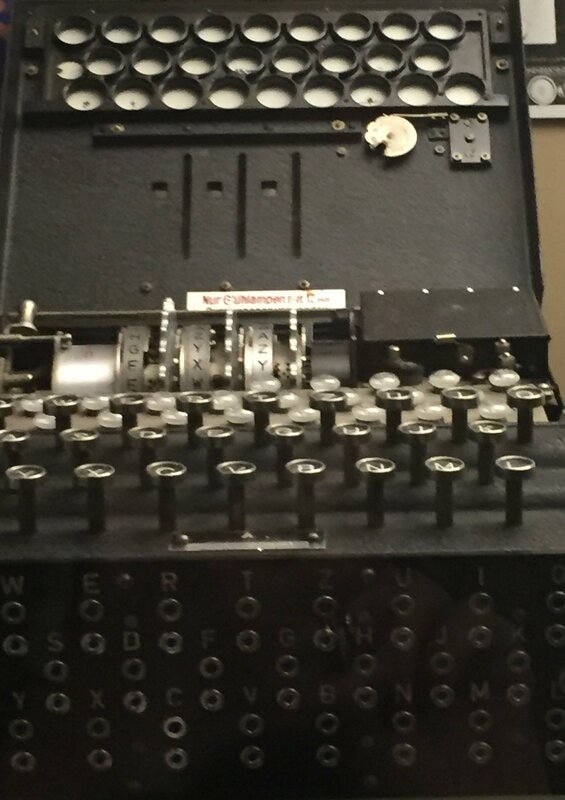 All their wireless messages were transmitted during darkness, using hand-operated morse keys to send encoded intelligence reports. They always moved before first-light to ensure the Luftwaffe could not determine their position. They also learned not put too much trust in supplies. 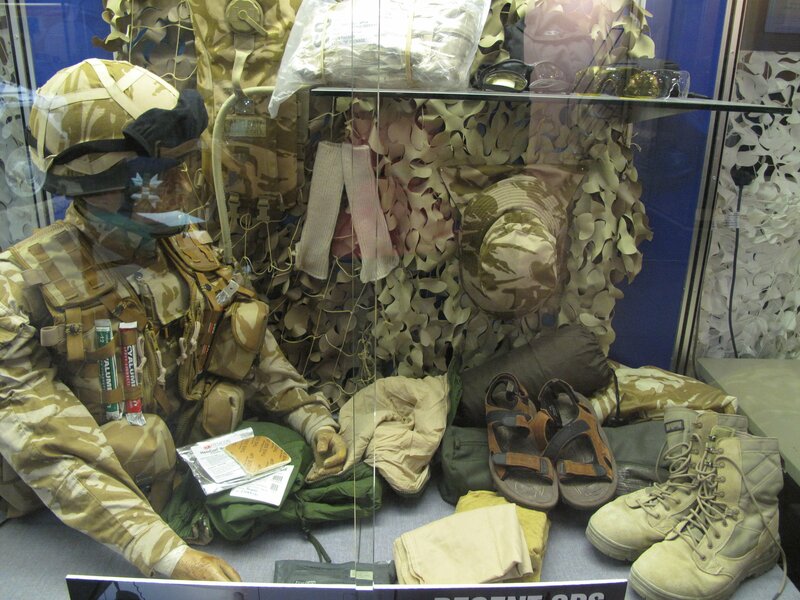 Even to Special Operations teams such as themselves equipment was heavy, complicated and often wrongly packed with key components missing. Shortly after the demise of Poland a GHQ Liaison Regiment known as ‘Phantom’ was established. After a difficult start Phantom, under the dynamic personality of Lt Col GF Hopkinson, prospered. Phantom consisted of Royal Signals personnel plus a mix from other regiments all of whom trained relentlessly in Signals techniques. They monitored transmissions from allied and enemy forces and importantly, rather than use intermediaries, they passed the information directly back to HQ. As a result the Commander-in-Chief was continuously updated about the battle and battle positions. He could plan accordingly, including telling air-forces where to bomb. 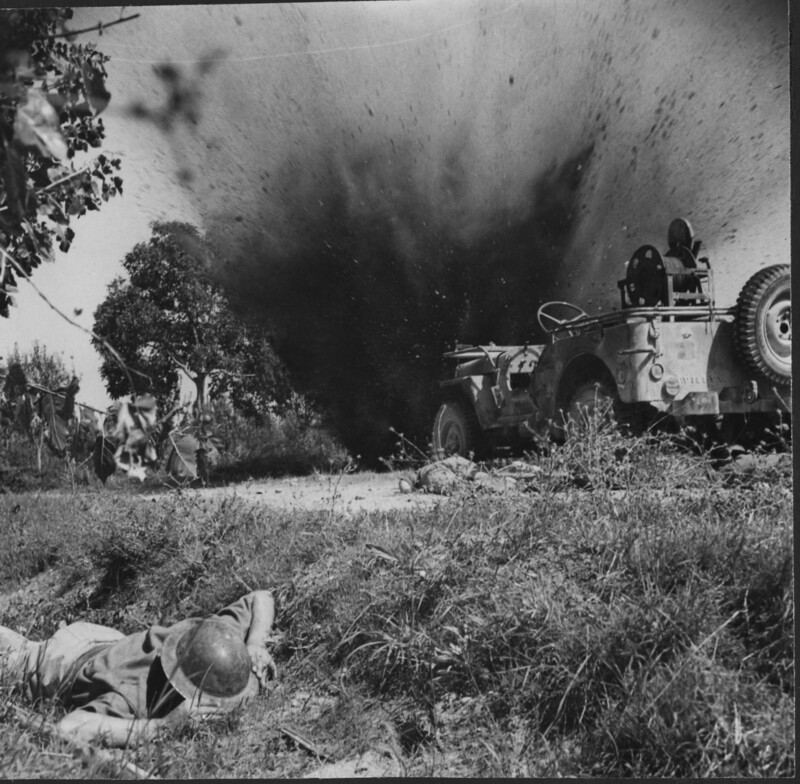 This wasn’t without error, indeed there are many instances in WW2 of infantry capturing a position only to be bombed by their own Air Force under the impression it was assisting their own attack. Phantom proved especially useful during the battle for France in 1940. The subsequent experiences of Phantom in the Middle East, in Italy and in North West Europe demonstrated the need for essential efficient signals at any and every stage of a campaign. Phantom eventually incorporated the J service created by Major Mainwaring in 1941. J had the advantage of listening to chatter from enemy tank crews in forward areas and sending what it gleaned back to GHQ in clear, whereas Phantom encoded its messages to protect their source. 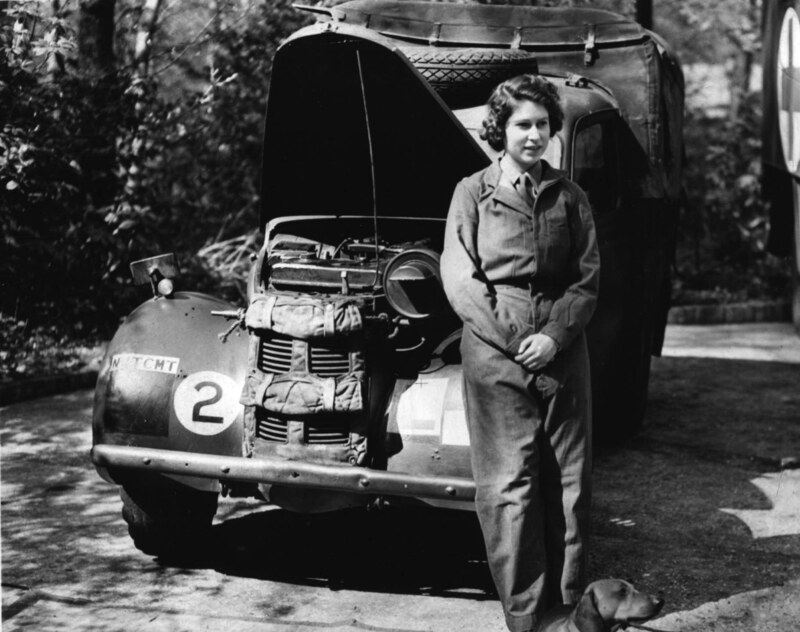 J performed a vital service at the battle of El Alamein in October 1942, earning considerable praise from the higher command. In January 1943 J received an official establishment of one Royal Signals Officer and 49 soldiers. providing general information to enable HQ to make deductions about changes in enemy tactics and tactical planning. J became so successful that it was adopted by the US Army. Two officers from the now significantly expanded J Service were sent to organise a similar service for the American forces known as SIAM (Signals Information and Monitoring). In 1944 Phantom and J merged. Phantom and J were in action on the D-Day beaches and throughout the European Campaign. They were especially valuable at the closing of the Falaise gap when converging Allied armies trapped half-a-million men from the German 7th Army and destroyed it. In the confusion of battle it would have been easy to attack each other but their work ensured this wasn’t the case. Phantom anticipated the Radio Village and also supplied a squadron to the Special Air Service Brigade, working behind German lines, providing patrols for every British and Canadian Division and every American Corps. Phantom’s duties included providing Bogus traffic for deception. One such event took place in 1941 when, n an attempt to persuade Rommel the forthcoming British Offensive would be in the south rather than the north of the battle area, they simulated the traffic of a non-existent Armoured Car Regiment. The Luftwaffe was despatched to look for the ‘regiment’ but failed to locate Phantom’s well-camouflaged vehicles. At the end of the war Phantom was renamed ‘No3 Independent Signal Squadron’ following disbandment in 1948 its role was taken on by Princess Louise’s Kensington Regiment (PLK) and became Army Phantom Signal Regiment (TA). Today PLK are part of 31 Signal Squadron under the command of 71st City of London (Yeomanry) Signal Regiment. The Willys MB (Ford GPW) . Commonly known as a Jeep. 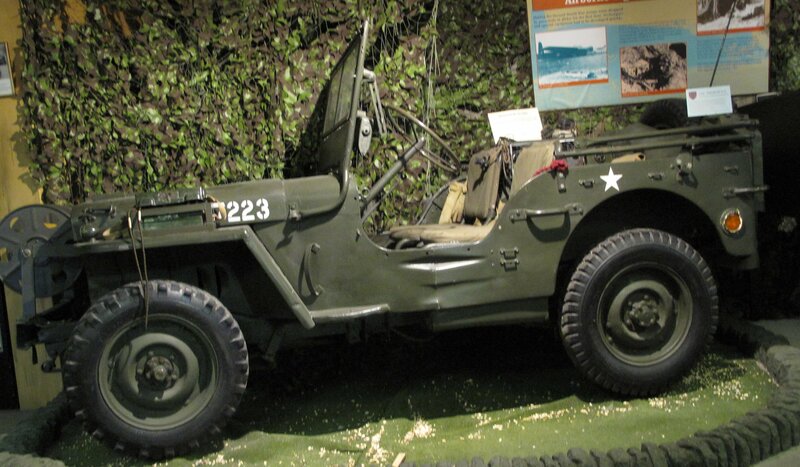 A four-wheel drive utility vehicle manufactured during World War II. Over 300,000 were produced. This one is on display in the Royal Signals Museum, Blandford. Pictured above – a Japanese Prisoner Of War. 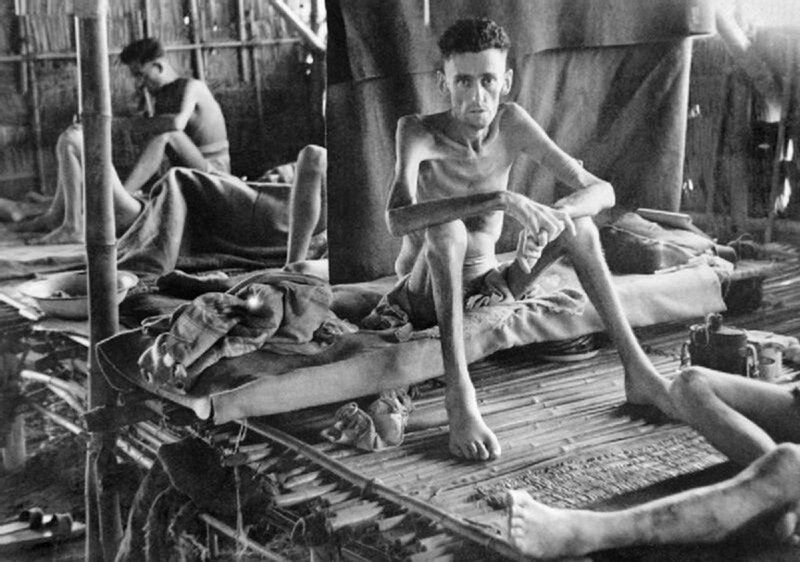 Eric Lomax, a royal signals soldier and Japanese PoW, was forced to work on the Thai-Burma ‘Death railway’ during WW2. The Museum tells the story and show clips from the film The Railway Man, starring Colin Firth, which tells Lomax’s harrowing story. Famous Phantoms included David Niven, film star Tan Williams, three future professors, two Privy Councillors, a Law Lord, an Ambassador, a Metropolitan Police Commissioner plus sporting and literary celebrities. A considerable part of the work of The Corps during WW2 was secret and some details may never be disclosed but in recent years more has come to light about the work of the Y groups. Signal intelligence was crucial to the Allied victory with a number of Special Wireless Groups established prior to and during this period. Little is known about much of the work of these groups but undoubtedly their work played a crucial part in the winning of the war. The designation of the various types of Special Wireless Sections (SWS) depended upon their allocation: Type A were allocated to Army HQ, Type B to Corps HQ with Type R and Type Z functioning as relay sections. No 1 Special Wireless Group – formed in 1934 as 4 Company War Office Signals. It became 2 Company CHQ Signals in 1938 and was despatched to France in 1939. After the evacuation of the BEF from Dunkirk to the UK, the unit became 1 Special Wireless Group on 6th July 1940 and comprised of 2 companies one based in Egham and one in Radlett. 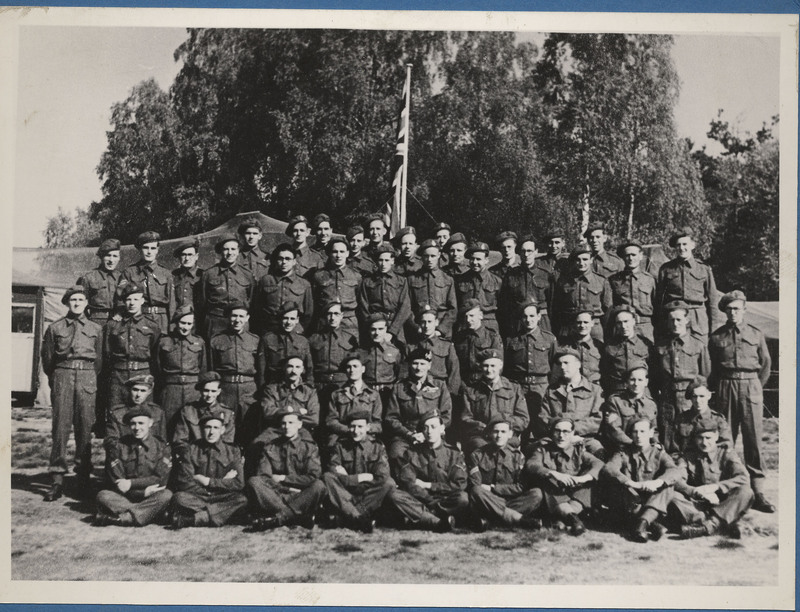 In June 1944 the unit went to Normandy with 21st Army Group to supervise the special wireless sections in 1st Canadian Army and 2nd British Army. In 1945 it became 1st Special Wireless Regiment, later 13th Signal Regiment. No 2 Special Wireless Group – formed in the Middle East in 1923 as 2 Wireless Company it was enlarged in 1940, when 2 Special Wireless Company arrived from the UK. It was the parent organisation for all special wireless units in theatre. A mobile section operated at 8th Army HQ and became 2SWS, supervising the special sections allocated to the Corps HQ of 8th Army, another section was sent to Malta. No 3 Special Wireless Group – formed in Italy in July 1941 with a mobile section deployed to Greece in 1944. Information on the work of 3SWG is sketchy but er know that in January 1942 formation orders were received at Harpenden for a Mobile Section. They were sent Delhi and trained for the war against Japan and from 23rd to 30th November 1942 were employed on operational duties in Calcutta. In December of that year small detachments moved to Tezpur. No 4 Special Wireless Group – it is believed this group existed circa 1945 in Singapore. 4 Wireless Group, a training organisation were based at Egham in the UK. A number of other Special Wireless Group were formed including A Special Wireless Group at Barrakpore India in 1942 which supervised minor units in India and Burma and C Special Wireless Group which later became 310 Indian SWS following its arrival in Rangoon. The Wireless Group that was but wasn’t! No 5 Special Wireless Group – 5SWG was initiated by The War Office as part of Op Bodyguard (a deception plan for D-Day to mislead German high command as to the location of the imminent invasion). 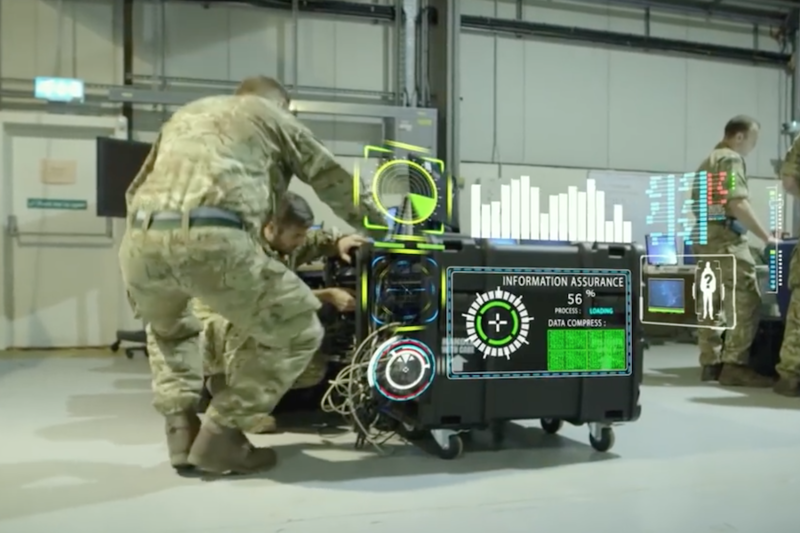 Designed to support Op Fortitude (part of Bodyguard) 5SWG would enable wireless deception plans to be implemented with minimum demands on man power, while giving the appearance of being genuine. Two sub-plans North and South – involved the creation of phantom field armies, with Fortitude North threatening Norway and Fortitude South, Pas De Calais. The aim was to divert Axis attention away from Normandy and, following the invasion on June 6, 1944, create the impression that the Normandy landings were a mere diversionary attack thus hopefully delaying German reinforcement. 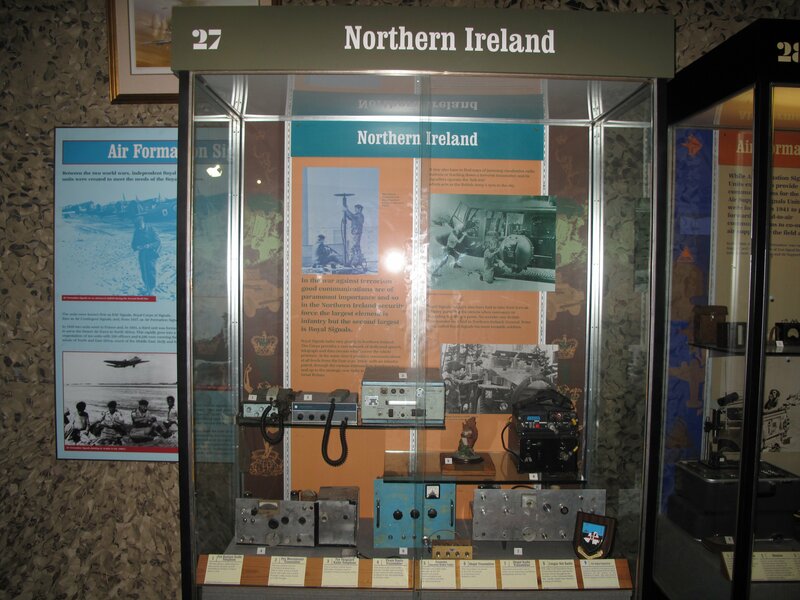 The role of 5 Signal Wireless Group included creating mass fake radio traffic for British land forces as part of Fortitude North, while 3103rd Signal Services represented American forces as part of Fortitude South. 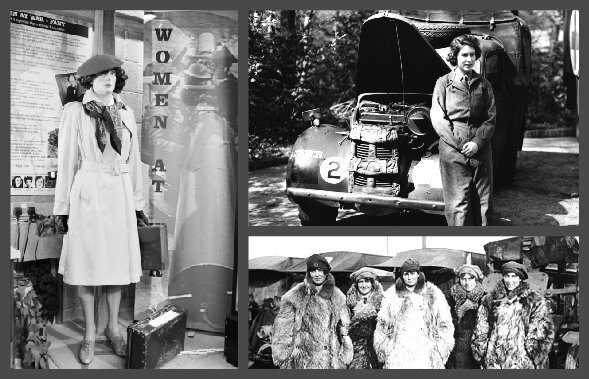 Women were not part of the Royal Corps of Signals during WW2 but a number of women from the Auxiliary Territorial Service (ATS) with special skills were selected for training as radio operators and undertook Special Operator Training at Trowbridge (moving to the Isle of Man in 1942)- to join the men of the Corps. Once the required standard of Morse was reached and German procedure signals were learned the ATS women were posted to secret intercept establishments including those in Harrogate and at Kedleston Hall near Derby. In 1943, following training in Shenley for radio intercept overseas, elements of 4 ATS Y wing and 5 ATS Y wing were posted to Cairo and Saraband. This move freed male personnel to staff 2 Special Wireless Group which moved to the Desert (its mobile section attached to HQ 8 Army with an advanced base at Mustafa Barracks, Alexandria). At Trowbridge with the reserves for the Y sections preparing for D-Day landings, attention turned to building sections for the war against Japan in Burma, and so the ATS joined with the men in learning the intricacies of Japanese, Morse, Kana and Katana. Women were posted to India and Ceylon – Mountbatten’s HQ, to replace Royal Corps of Signals operators who would join field sections in the jungles of Burma. The crucial importance of the secret work done by the ATS played a decisive part in winning the war against the Axis powers. A contribution that was not made public until decades later. Royal Signals were involved in most of the WW2 campaigns with a significant presence in France and Belgium 1940, Norway 1940, Western Desert 1940-1942, Tunisia 1942-1943, Italy 1944, 1945, 21st Army Group, North West Europe 1944-1945. With the arrival of peace in Europe it was reasonable to expect that bloodshed would end, but since 1945 Royal Signals personnel have participated in all conflicts involving the nation. The Corps has provided Communications and Information Systems (CIS) for all three British Forces, United Nations, Allied Troops and NATO forces. Sadly a number of personnel have been killed or seriously injured in post war conflicts. The post war period was characterised by the gradual withdrawal from the British Empire and a number of small-scale conflicts and the onset of The Cold War, with the latter determining a significant proportion of Corps roles and deployments. A major consequence of the post-war decolonisation was a reduction in the number and variety of local employed personnel (LEP). One exception to this was the growth of the Queen’s Gurkha Signals, the units of which are treated as a component of The Royal Signals. Until a substantial armoured force was established in Germany in 1951-1952 post war units allocated to tasks such as headquarters, line of communication or air formation outnumbered field force units. The most significant organisational change in the immediate post-war period was the establishment of signal regiments (consisting of squadrons and troops) in recognition of the increased size of field force signal units. In the immediate post-war period, the Corps played a full and active part in numerous campaigns: Palestine (1945 – 1948); the long campaign in Malaya which lasted from 1949 until 1960; the Korean War; the various operations in Cyprus, Borneo, Aden, Arabian Peninsula, Kenya and Belize. Throughout this time until the end of the Cold War, the main body of the Corps was deployed confronting the Communist Bloc forces and manning some of the worlds most sophisticated communications systems from satellites to extensive area systems. Since 1980, members of the Corps have spearheaded operations including the Falkland Islands campaign, the peace – keeping force in Lebanon and supervising the peaceful transition of Namibia to independence. Over 3,000 members of the Corps joined Operation Granby in the Persian Gulf conflict of the late 1980s. Members of the Royal Signals have recently been active in every theatre of British military involvement. These include Kurdistan, Bosnia, Croatia, the Western Sahara, Cambodia supporting the United Nations, Rwanda, Angola, Sierra Leone, Iraq and Afghanistan. In 2003 more than 3000 Royal Signals personnel were involved in, and made a major contribution to, Operation TELIC in the Persian Gulf. Members of The Royal Corps of Signals are often referred to as Scaleybacks. No-one is sure of the origin of this nickname but various theories abound. A popular idea is that during WW1 lead acid battery packs were carried by signallers, these would often leak and scar the backs of the operatives. A more palatable theory is that when The Corps was formed all those who transferred in were paid on Scale-E. Other theories: a Signals unit was billeted in a fish canning factory during WW2. They would sleep on the factory floor alongside discarded fish-scales. The final theory comes from ‘Scaleyback’ a colloquial term for a disease in horses caused by ill-fitting harnesses and saddles. The Corps last used horsedrawn cable layers in 1937 and no-one is sure if the horses used did indeed suffer scaleyback. Whatever the reason – we’re pretty sure the term scaleyback will remain as a nickname for many years hence. 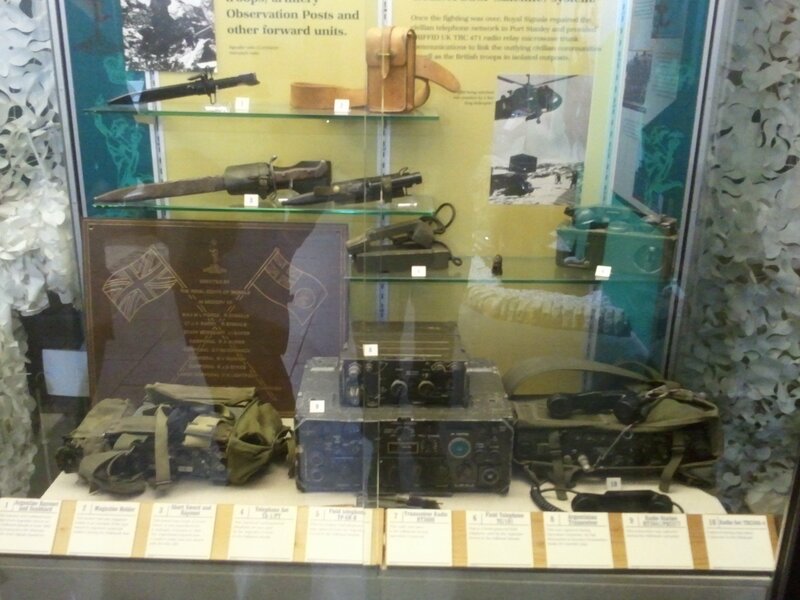 We outline a few of the post-war operations to demonstrate the wide range of Royal Signals participation and the extent of Museum displays and exhibits here. They are not a comprehensive history of the campaigns in question nor do the passages cover all of the campaigns. Anyone requiring further detail should refer to the Volumes of Corps History or arrange to visit the research facilities in the Museum Archive and Library. See Research and archives. Press and media – more information on how we are able to help with press and media enquiries here.